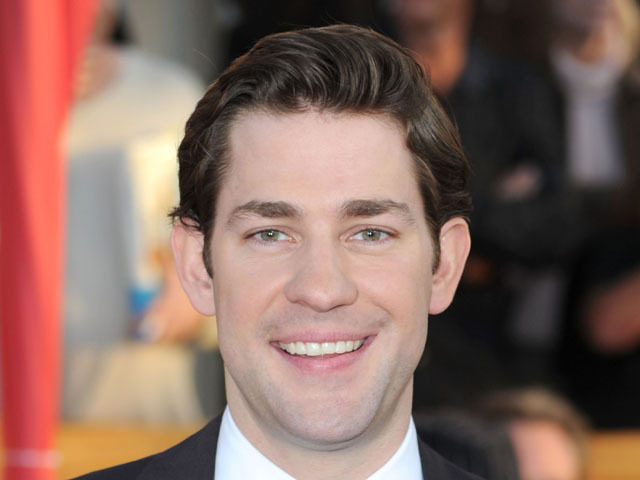 Is Actor John Krasinski a Time Traveler? NEW YORK (CBS) Another suspected time traveler has been spotted, but this time a famous face is the center of attention. A 1835 portrait painting at the Statens Museum for Kunst, a Danish gallery in Copenhagen, appears to be of actor and "The Office" star John Krasinski. (You can see the photo here). According to the Washington Post, the discovery was made by Ann Arbor, Mich., student Johanna Franzen and her boyfriend, just four days after an Irish filmmaker posted footage on YouTube of a woman who appears to be talking on a cell phone in a 1928 Charlie Chaplin film. "The resemblance was so uncanny," she wrote in e-mail to the newspaper, "that we were joking about how it made us think it was some publicity stunt." The museum's curator said the portrait is of Carl Adolf Feilberg, a soap- and candle-maker who was born in 1810 and was a friend of the painting's artist, Christen Kobke. Do you think Krasinski is a time traveler? Or do you think the close resemblance is just coincidence?